Have you ever thought about writing and publishing a Kindle book or e-book to sell online? I have several and it’s fun to do. You can teach people something you know or write fiction/a story. 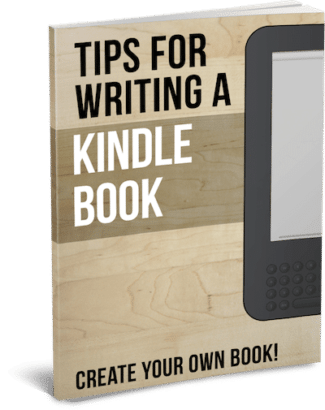 If you’ve ever thought about writing a Kindle book but thought it was too difficult or didn’t know where to start, then this is the place for you. This book offers 9, easy-to-read chapters with great tips on how to write a Kindle book. You even get the very Kindle Word template I use for my books to help you get started! This isn’t a book I created myself but I do have the rights to sell it. It’s good material and definitely worth the price I’m asking for it.